Bantay Kalikasan of ABS-CBN Lingkod Kapamilya Foundation, together with Sun Life Foundation, Local Government of Gubat, and Provincial Environment and Natural Resources of Sorsogon, graced the groundbreaking ceremony of a new eco-tourism site in Brgy. Panganiban. Named as Panganiban Mangrove Boardwalk and Nursery, the project will directly benefit 23 members of Panganiban People’s Organization by providing livelihood through the construction of one-kilometer long boardwalk. The project will also include an Adopt-A-Bakawan – a mangrove reforestation project in the 13.7-hectare lush Mangrove Forest of Gubat, Sorsogon. According to study entitled Storm surge reduction by mangroves, “Mangroves can reduce storm surge water levels by slowing the flow of water and reducing surface waves. Therefore mangroves can potentially play a role in coastal defence and disaster risk reduction, either alone or alongside other risk reduction measures such as early warning systems and engineered coastal defence structures (e.g. sea walls)” (Mc Ivor, Spencer, Möller, & Spalding, 2012). Mangroves also serve as homes to fish where they can find their food to eat. For small fish and other animals like shrimps and mud crabs, mangroves protect them from predators. For PHP200.00, tourists can adopt three mangroves. They can plant them by themselves or let the community plant the seeds for them. It also includes a certificate, a souvenir, and snacks. 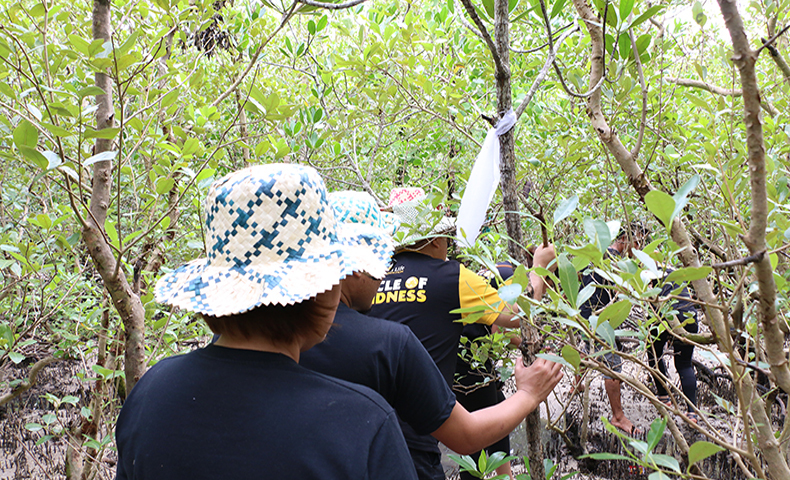 If the tourists decide to let the Panganiban People’s Organization’s members plant the seeds, the PO will document their mangrove planting activity in photos, as proof that their donation to adopt mangroves is spent. 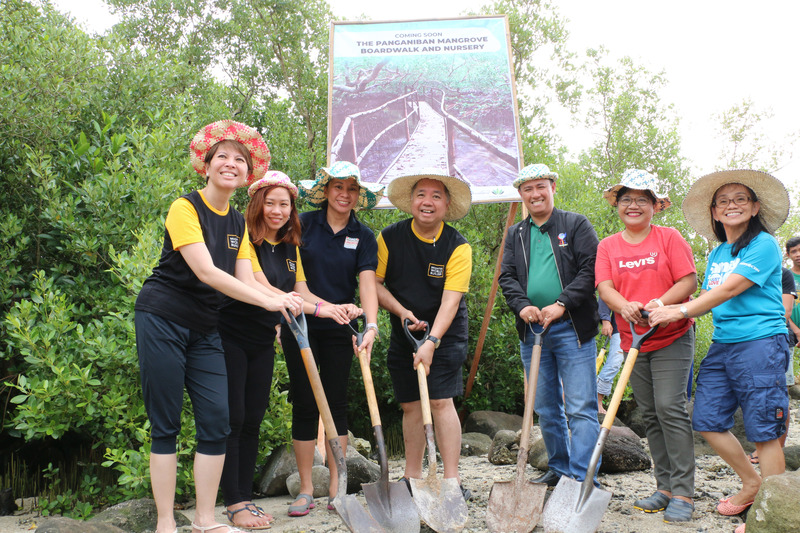 During their pitch to Sun Life Foundation, Dizon pointed out that aside from protecting the forest from illegal mangrove cutting, the boardwalk will also help the community clean the mangrove forest with ease. He said that during their initial visit in the area, they’ve seen a lot of wastes in which most were plastic. These wastes were carried away by waves. As the main partner of the project, Sun Life Foundation is in awe of community’s compassion. Likewise, Bantay Kalikasan’s Program Director Jen Deomano Santos said that the Adopt-a-Bakawan is a sustainable livelihood opportunity for the benefit of Panganiban People’s Organization. “It is also a way for the community and the tourists to be a part of reforestation and conservation process,” she enthused.